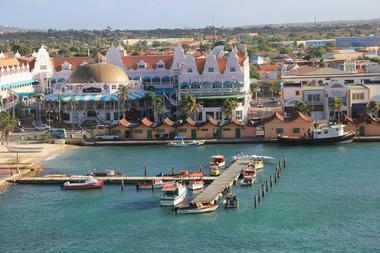 Oranjestad is the capital and the largest city of Aruba and it has one of the most perfect climates in the world. The temperatures do not vary significantly during the year, and the range of temperatures between day time and night time also do not vary greatly. The other good news is that Aruba lies close to the northern area of the continent of South America, so it does not lie within the hurricane belt like so many of the other Caribbean destinations. High and low seasons depend on the weather in other countries - when it’s cold in Canada or the United States, it’s high season in Oranjestad from December to April. If you are trying to escape winter, December to April is the best time to visit Oranjestad, Aruba. Oranjestad Weather in January: The coldest month of the year in Oranjestad comes in January with the average high temperature peaking at 84°F (29°C) and the average low temperature at a mild 75°F (24°C). February sees a 2-degree increase for both the high and low temperature averages. The high temperature average is 86°F (30°C) while the low temperature average is 77°F (25°C). In March, Oranjestad sees its lowest precipitation rate of the year with expected rainfall at just 10 mm. The average low temperature and the average high temperature hold steady at 77°F (25°C) and 86°F (30°C) respectively. Oranjestad Weather in April: While the average high temperature remains the same at 86°F (30°C) for April, the average low temperature sees a 2-degree increase to 79°F (26°C). May is the hottest month of the year in Oranjestad. The average high temperature increases to 88°F (31°C) this month. On the other hand, the average low temperature remains the same at 79°F (26°C). In June, the low temperature average and high temperature average stay at 79°F (26°C) and 88°F (31°C). Oranjestad Weather in July: The precipitation averages remain quite low in July with just 20 mm of rainfall to be expected. For the second month running, the average high and average low temperature remain the same at 88°F (31°C) and 79°F (26°C) respectively. August doesn’t present any difference in the average low and average high temperatures, which still range between 79°F (26°C) and 88°F (31°C). 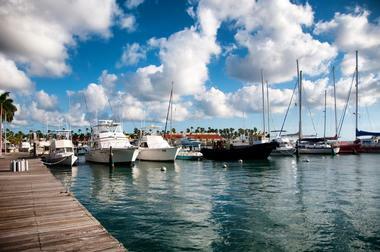 In September, Oranjestad receives the highest daily average of sunshine annually with 10 hours of sunlight per day. 88°F (31°C) remains the high temperature average alongside the low temperature average which stays at 79°F (26°C). Oranjestad Weather in October: It’s a fantastic month for water sports and beach bumming in October with the sea temperature averaging 84°F (29°C). There are still no shifts in the average low and average high temperatures, which holds steady at 79°F (26°C) and 88°F (31°C) respectively. November is the wettest month of the year in Oranjestad as the expected rainfall hits 90 mm. While the low temperature average remains at 79°F (26°C), the high temperature average decreases by 2 degrees to 86°F (30°C). In December, the average high temperature sees a 2-degree drop to 84°F (29°C). The average low temperature sees an equal decrease to 77°F (25°C). The milder weather is matched by lovely sunny days and an 8-hour average of daily sunshine. Aruba is beautiful and temperate all year round meaning there’s no bad time to visit beautiful locale. 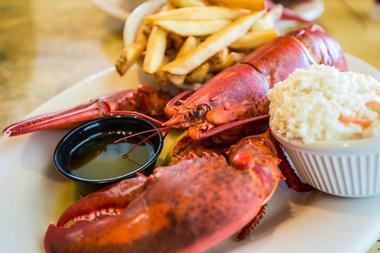 Your choice of when to visit really just depends on what kind of vacation you want to have. The peak season of Aruba starts in mid-December and lasts until mid-April. These months are the peak season for a reason and in Aruba’s case it’s because these months are drier and temperatures are relatively milder. For the best deals, the best time to visit is between the months of April to August. These months also have incredible festivals to take part of like the Soul Beach Music Festival and the Aruba Wine, Food and Art Festival. Beach goers will love a visit in October as the sea temperatures are at their best during this month. Many people arrive in Oranjestad at the Reina Beatrix International Airport. There are more than 150 flights per week from various cities in Canada, the United States, countries in South America, countries in Europe, and other Caribbean islands. Several gates are used exclusively for flights to the United States; other gates are used for flights to non-U.S. destinations. 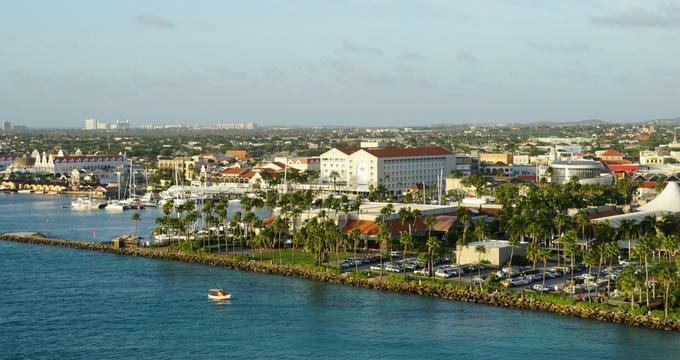 Arriving in Oranjestad by cruise ship is another fun way to see this tropical paradise. Most cruises arrive at one of three terminals early in the morning. The friendly staff inside the air-conditioned terminals will be happy to help you with ways to enjoy your stay in Oranjestad. There are several ways to get from Oranjestad’s Reina Beatrix International Airport into the city center. One option is to rent a car at one of several car rental agencies conveniently located at the airport. Another choice is to make arrangements with your hotel to be greeted when you arrive at the airport and to be transported by shuttle to your hotel. Some of the Airport Transfer companies include De Palm Airport Transportation, El Tours, Kukoo Kunuku Express, and more. Wix Tours is a private service that offers special VIP pick-ups at the airport. The staff members will greet you at the airport and handle your luggage. Renting a car at the airport can be a good idea: it gets you from the airport into Oranjestad and it can also serve as your transportation as you explore the city and beyond. In addition to the car rental offices at the airport, there are also offices at some of the major hotels. Car rental rates vary from company to company and from season to season. If you plan to spend the majority of your time exploring Oranjestad, you will probably not need to rent a car. The city has a very good public bus system: buses run every 20 minutes and the central terminal is Zoutmanstraat. Oranjestad is a popular destination for shoppers. 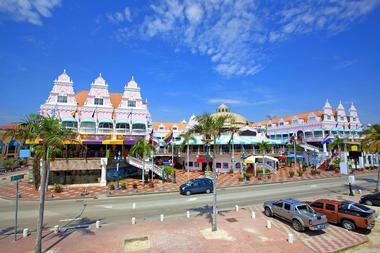 Whether you arrive by airplane or by cruise ship, head for downtown Oranjestad where the shopping is top of the line. L.G. 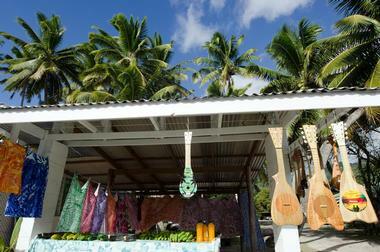 Smith Boulevard runs through one of several shopping areas and is a short walk from the cruise line port. Shopping in Oranjestad is becoming a big event: on some days the main shopping streets are closed to vehicular traffic. This is a good time to browse the shops for clothing and jewelry. In addition to the shopping streets in downtown Oranjestad, there are several nearby shopping centers such as the Atrium Mall, Aventura Mall, Holland Aruba Mall, and many others. With its perfect climate and charming atmosphere, Oranjestad is a wonderful place to hold a wedding. 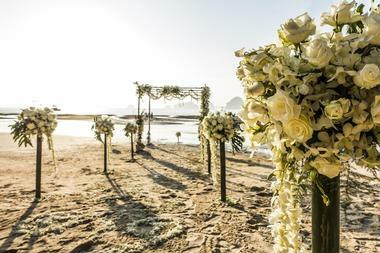 Foreigners are now allowed to have their weddings in Aruba. Paperwork can be taken to the Office of Civil Registry on Schoolstraat in Oranjestad and then you can pick your wedding venue. 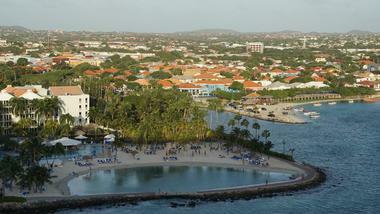 The Renaissance Aruba Resort and Casino is a popular wedding venue with its waterfront in Oranjestad. Marriott’s Aruba Surf Club, Swiss Paradise Aruba, and Tamarijn Aruba All Inclusive are three other hotel choices. In nearby Palm Beach you’ll find the Occidental Grand Aruba Resort, and in Eagle Beach there is the Ritz-Carlton Aruba and the Holiday Inn Resort Aruba. Oranjestad is full of exclusive luxury hotels as well as affordable guest houses and bed and breakfasts. Some of the top luxury properties include the Aruba Marriott Resort and Casino, the Divi Aruba All Inclusive, the Manchebo Beach Resort and Spa, the Renaissance Aruba Resort and Casino, the Tamarijn Aruba All Inclusive, and many more. There are less expensive accommodations such as the Aruba Surfside Marin, the Holiday Inn Resort Aruba, the Hooiberg House, the Wonder Boutique Hotel, and others. There are villas and apartments like the Camacuri Apartments, the Paradise Villas and Apartments, the Solar Villa, and the Talk of the Town Beach Club by GH Hoteles Collection.